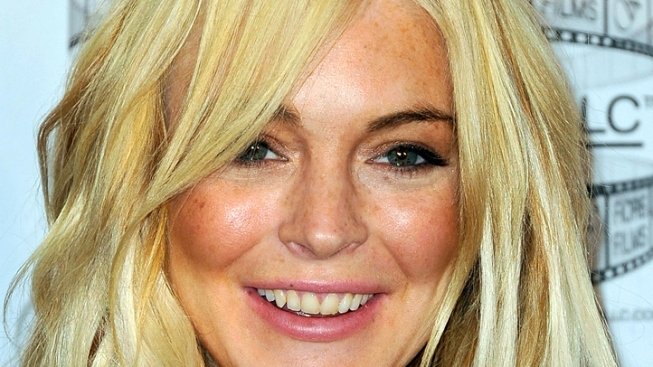 Lindsay Lohan has has got some brand new ink on her skin. The party girl recently tattooed lyrics from Billy Joel's song, "I Go To Extremes" on her right rib cage, according to pictures obtained by TMZ. "Clear as a crystal sharp as a knife/I feel like I'm in the prime of my life," says the tat, taken from the 1989 song. The actress, notorious for being "extreme" herself, reportedly stopped by the L.A. tattoo parlor Shamrock Tattoos. Lohan has a couple of other literary stamps, including "la bella vita" on her lower back and "Stars, all we ask for is our right to twinkle," on her left forearm. A source tells TMZ the inspirational words of the fellow Long Islander means something special to Lohan. "It represented where she is in life and everything she's been through," the source told the gossip site. "It signifies that she's focused." Lohan has been a longtime fan of Billy Joel, Access Hollywood reports. After the death of her uncle in May 2010, she tweeted, "Did Billy Joel curse us when he said, 'Only the GOOD die young'?"